An old hunting lodge turned into really good “old Irish pub” atmosphere full of local characters, celebrities, and visitors, great family restaurant with friendly staff. Try the pheasant or lamb stew, and chicken in a basket, and pick a pew near the coal-burning fireplace. The bar menu is served from 12.00pm to 8.45pm every day. This is one of the few places one can eat where it feels welcoming even if there are only a few people in. it also has a patio with view of the lake. Joe and his team provide excellent food and service, and there very patient with kids. In the bar there is a wonderful atmosphere with music some nights and of course Guinness and a roaring fire. This family run pub, located at the top of the village, with its cosy atmosphere is very nice. It is a real Irish pub for a quiet drink and bite to eat. The pizzas are gorgeous. Also there’s an off licence with a good range of beverages. It’s a great place to meet with music at weekends. Poker night is Friday night in the bar if you fancy a game. A beer garden and function room are also available. An Tochar House Pub is located right in the centre of Roundwood Village. 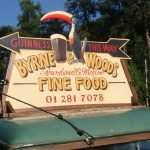 It is owned and managed by the Fanning family who have lived in Roundwood for generations. A genuinely, friendly Irish welcome is guaranteed. The Pub is a popular spot with locals and visitors with a bar, lounge and pool room. Tasty light snacks are available such toasted sandwiches, wraps and paninis. The Coach House, as its name describes, is a long established public house and a popular stop off in Roundwood for almost two hundred years. It is an extremely well presented building especially in summer with its window box floral displays are a vision to behold. 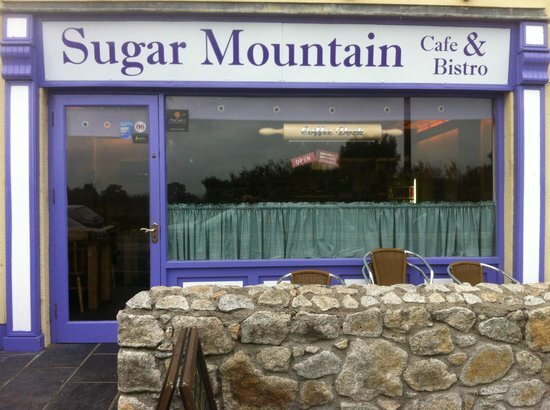 A cyclists’ & traveller’s oasis located in the village of Roundwood The Sugar Mountain is owned and run by a lovely lady, Janette. Janette is ably assisted by yet another lovely lady, Jackie and between them they manage a most relaxing Bistro, serving the finest of home cooked food you will find in a days driving. This Chinese Take away is situated on Roundwood Main Street and specialises in Thai curries as well as the usual Chinese takeaway fare. Home delivery is also available +353 (0) 1 2012002.